1960: Don Manoukian played professional football for the Oakland Raiders of the National Football League. 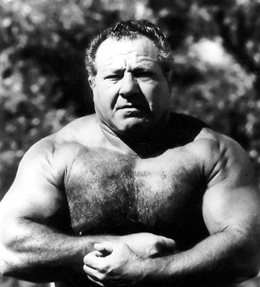 1960s: Don Manoukian was a pretty big star in the Los Angeles territory where he teamed with The Destroyer. Don the Bruiser was honored in 1997 by the Cauliflower Alley Club with a men’s wrestling award. Don Manoukian passed away on September 23, 2014.